MANILA — The scorching heat did not deter Filipino progressives from commemorating International Human Rights Day, today Dec. 10. “This day is not for the government that spit on human rights and the documents it signed. 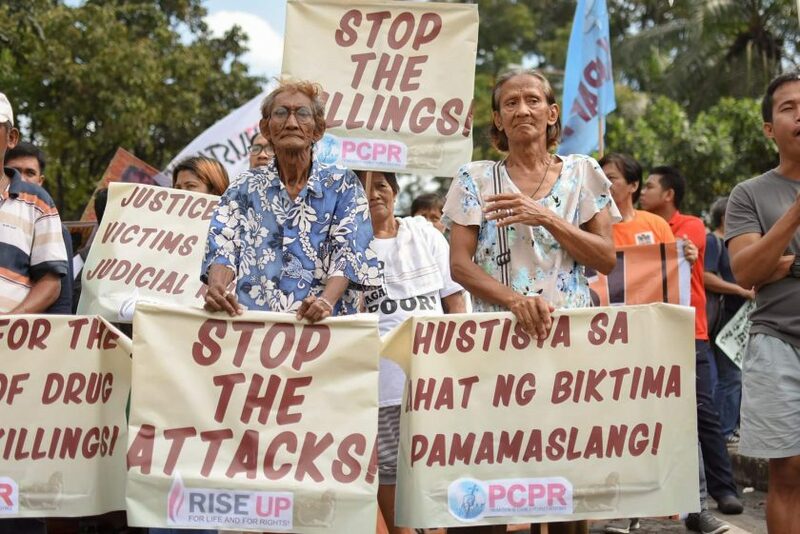 This day is for the people who relentlessly struggle for human rights,” said Cristina Palabay, secretary general of Karapatan, during the protest in Liwasang Bonifacio. 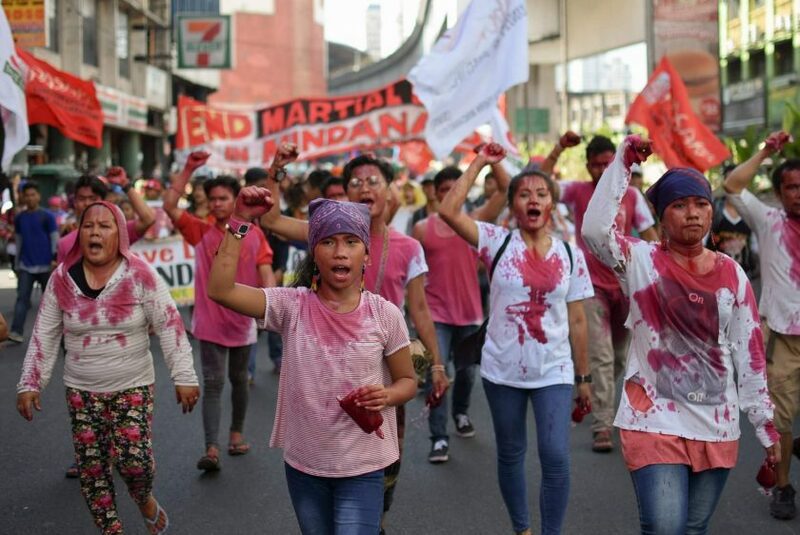 The Duterte administration has been repeatedly lambasted over its “bloody human rights record,” with at least 20,000 dead in the name of his war against illegal drugs and attacks against people’s rights. During the program in Mendiola, Einstein Recedes of Anakbayan said Duterte has turned the Philippines into a “bayan ng ulila” or “nation of orphans” with the widespread and systematic human rights violations. As of November 2018, Karapatan has documented 216 extrajudicial killings, 378 victims of frustrated killings, 100 victims of torture, around 2,000 victims of illegal arrests, over 70,000 victims of threats and harassments and nearly half a million individuals who were internally displaced. “Regardless of the government’s repeated denial of violations, the evidence is overwhelming. Victims and their relatives are marching with us, demanding justice and accountability,” Palabay said. Among those who joined today’s protest are delegates from Mindanao who are assailing the recent extension of martial law rule there, where 88 victims had fallen to extrajudicial killings and 1,450 were subjected to illegal arrests since its implementation. In a joint statement, Bagong Alyansang Makabayan-Mindanao and Kilusang Magbubukid ng Pilipinas-Mindanao assailed the extension of martial law in Mindanao, where at least 75 percent of troops of the Armed Forces of the Philippines have been deployed. They pointed out that the intensifying militarization of Mindanao is slated to protect big foreign business interests as the Duterte administration is eyeing a million-hectare expansion for plantations and another million-hectare for mining. This will be carried out despite calls that such has led to rampant human rights violations. Instead of addressing their grievances, the two groups said, the Duterte administration has resorted to the shutting down of alternative tribal schools, affecting more than 2,000 Lumad students. Human rights advocates also called for the release of political prisoners, following the death of Alex Arias on the eve of the International Human Rights Day. Arias, who was only 63, suffered a heart attack. He was the third political detainee to die while in detention under the Duterte administration.